If you've spent any time at all on my blog, you know that a lot of my upcycling isn't glamorous. I'm most interested in what I can do with trash! I've worked with juice and milk bottles, beer cans, toilet-paper rolls, an old frisbee, negatives, plastic lids and lots of alley-grab furniture. 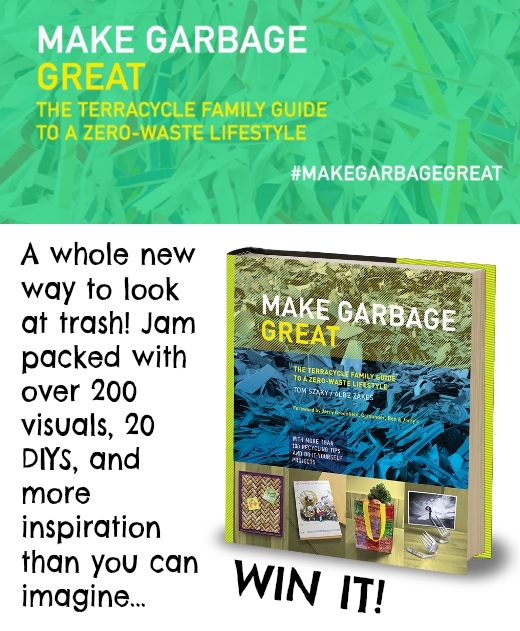 So you can imagine how much I'm loving this brand new book from the minds behind Terracycle. Find out how to win a copy! This giveaway is open to all citizens of planet earth, 18 and older. If you are able to receive a book in the mail, you can enter. Terracycle's goal is to eliminate the idea of waste. This means they specialise in finding ways to recycle (or upcycle) things that aren't recyclable. How? Check out their zero-waste boxes. For gum. Human hair. Plastic coffee pods (nasty things!). Pretty much anything you generally have to trash. This is why they are awesome! In Make Garbage Great, Terracycle's Tom Szaky and Albe Zakes examine the materials we use every day, show how they impact the environment and provide project ideas to lessen our impact and better protect our planet. It's not just full of great DIYs. 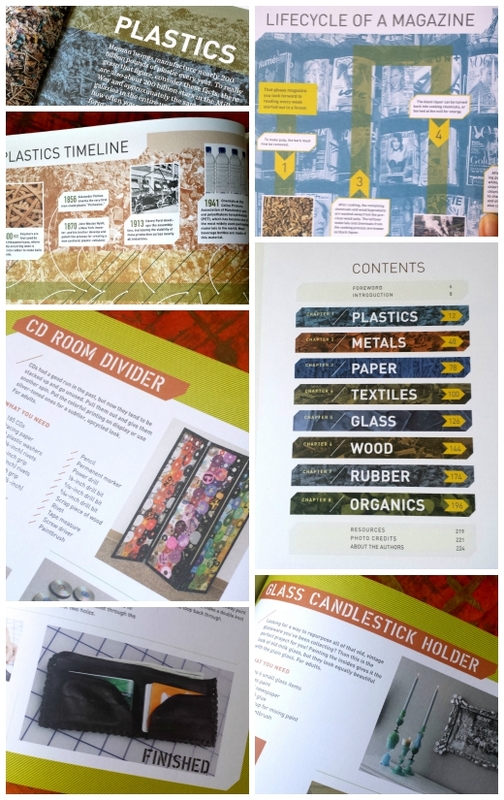 It's a beautiful coffee-table book and a really well organized resource for anyone interested in cutting down, wasting less and reusing more. And it's organized by waste stream: Plastics, Glass and Ceramics, Paper, Wood, Textiles, Metal, Rubber and Organics.